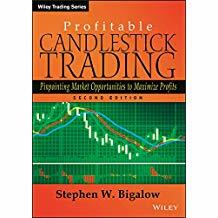 Candlestick Patterns are powerful tools for traders to make profitable trades in any financial market, including the stock market, options, Forex and futures. Candlestick pattern is useful for short term traders who do swing trading or day trading where you buy and sell a stock within a few days or a few weeks. Candlestick patterns are not useful for long term investor where the holding period is much longer. Candlestick patterns are originated from Japan and is now widely use by Wall Street Traders and retail traders across the world. Following is a guide on how to read candlestick charts. A trader can easily read a candlestick chart on any stock and interpret the short term price movement of the company. Learning to read candlestick patterns does not require prior trading experience. Traders who are already familiar with bar chart, line chart, dot chart or any other type of stock charts can easily make the switch to candlestick chart. A candlestick pattern is formed by a stock's close, open, high and low prices. The white body shows that the stock is closing higher than the previous day. If the stock is closing lower than the previous day, the body will become red so that a trader can easily see the differences on a chart. When we plot the price data on a chart, we get a complete candlestick chart. The following is a daily candlestick pattern chart for SHOP. As you can see, the length of each candlestick pattern is different because the stock low, high, close and open are different everyday. For day traders, they will use the 1 min chart or the 5 min chart instead of a daily chart. To learn how to use candlestick patterns for profitable trading, you need to be able to recognize the critical patterns. Fortunately, there are only a handful of candlestick patterns that you need to remember. We will start with the Bullish Engulfing pattern. Bullish engulfing is one of the most powerful patterns in candlestick trading. This is a reversal pattern that allows a trader to buy a stock at the bottom when the trend is about to reverse. Here's how the pattern looks like. Here is the requirement for a candlestick pattern to be considered as a Bullish Engulfing Pattern. b.) The first candlestick is a red candlestick representing a down day and the second candlestick must be white representing an up day. c.) The body of the second candlestick completely engulfs the first candlestick. When all the above condition is met, the Bullish Engulfing Pattern signals a buy on a stock. Let's look at the Bullish Engulfing Patterns on some real stock charts and see how well it performs. The stock BPZ formed a Bullish Engulfing Pattern on 12/16 on a down trend. The stock then went from below $3 a share to over $4 a share in less than 3 months. That's over a 50% gain. The stock AVNR had a Bullish Engulfing Pattern in the end of December, and the stock went from below $2 a share to over $3 a share in a little over 2 months. That is close to a 70% gain. The stock EGY formed a Bullish Engulfing Pattern on 12/16, and the stock went from $5.6 a share to $8.69 a share in 3 months. That's a pretty nice 55% gain. If the following conditions are met, then it further strengthens the buying signal. a.) The trading volume is strong on the second day where the candlestick is white. b.) The Engulfing Candlestick engulfs multiple previous candlesticks. c.) The stock is trading higher or gap up the next day (3rd day), which confirms the bullish signal. The reason Candlestick Patterns work so well in trading is because they are derived directly from the stock prices and they are been use like any other technical indicator. All human beings act in similar ways and they react the same way when they experience greedy and fear in the stock market or other financial markets. History repeats itself in the stock market because traders will keep acting the same way in the future and that's how Candlestick Patterns are formed. A technical analyst has an edge against traders who simply speculate and buy stocks based on guru's or friend's tips. Candlestick Pattern work well during recessions as well as boom market. Candlestick does work alone. However, just like any other technical indicator, Candlestick Pattern work the best when you combine it with other technical indicator such as the Volume, Stochastic, MACD, ADX, RSI or any other technical indicator you prefer. One strategy you can use is to use Stochastic or RSI to measure the overbought and oversold area. Whenever, the Stochastic Indicator or the RSI Indicator crosses above from the oversold area and if Candlestick Patterns are bullish, you can add the stocks to your watchlist. If the trading volume increases at the same time, it produces a high probability trade setup. There are dozens of Candlestick Patterns that traders developed and here are some of the best Candlestick Patterns. These Candlestick Patterns are reversal patterns meaning they have to occur during a down trend. They give early signals that a stock is at the bottom and the trend might reverse and turn bullish soon. We've already discussed about this pattern in the previous paragraph. This is a very bullish reversal pattern. It consists of 3 candlestick patterns. 1. The first candlestick is a red candlestick on a down trend. 2. The second candlestick is a small body candle that closes below the first candlestick (the body can be red or white). 3. The third candlestick is a white body candle that opens above the second candlestick and closes below the first candlestick. 1. 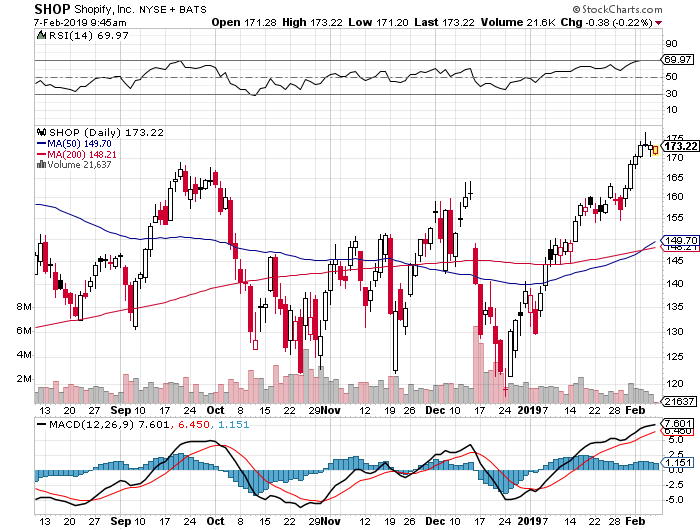 The first candlestick is bearish with long red body on a down trend. of the previous day's body. 1. A doji is formed when the open and close price are the same. A bullish reversal pattern is formed when a doji occurs on a down trend. 1. The first day is a large bearish red candlestick on a down trend. 2. The second day is a small candlestick that trades in the previous day's body. Some Candlestick Patterns like Three Line Strike, Three Outside Up, and Bullish Side By Side patterns are rare. They don't occur as often as the other Candlestick Patterns. Sometimes, you can only see these patterns a few times a month but when they do occur, they are often very bullish trading signals. There are dozens of bearish candlestick patterns out there and here are the best 5. These candlestick patterns are reversal patterns meaning they have to occur during an uptrend. They give early warnings that the trend might reversal and start to go down. For each bullish candlestick pattern out there, there is a similar bearish candlestick pattern out there except the patterns are now reversed. This candlestick pattern is the exact opposite of Bullish Engulfing Pattern. It is one of the most bearish reversal pattern in candlestick trading. b.) The first candlestick is a white candlestick representing an up day and the second candlestick must be red representing a down day. c.) The body of the second candlestick completely engulfs the first candlestick. 1. The first candlestick is a white candlestick on an uptrend. 2. The second candlestick is a small body candle that closes above the first candlestick (the body can be red or white). 3. The third candlestick is a white body candle that opens below the second candlestick and closes above the first candlestick. 1. The first candlestick is bullish with long white body on an uptrend. 2. The second candlestick is a bearish candlestick that open above the previous day's high and close below the midpoint of the previous day's body. 1. A Doji is formed when the open and close price are the same. A bearish reversal pattern is formed when a Doji occurs on an uptrend. 1. The first day is a large bullish white candlestick on an uptrend. How To Find Candlestick Patterns? Searching for Candlestick Patterns manually is a hard task. By the time you find these patterns, it may already be too late. Therefore, we developed Candlestick Stock Screener to help you search for candlestick patterns quickly and easily, and it will save you a lot of time. 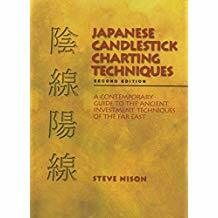 To learn more about Japanese candlestick charting techniques, we recommend the following books.